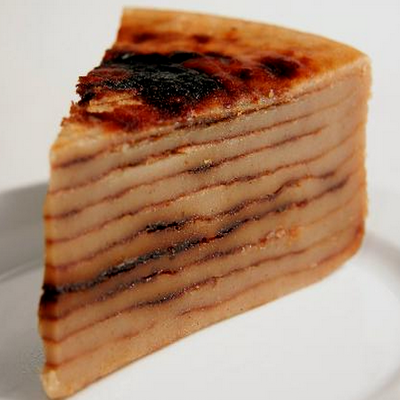 Bebinca is a traditional Goan layered dessert, also known as the Queen of Goan sweets. 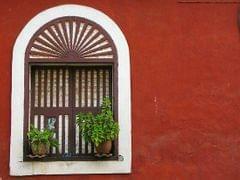 It is baked for all festive occasions in Goa. Its main ingredients are flour, sugar, coconut milk, egg yolks and nutmeg. Traditionally, Bebinca is patiently baked, layer after layer for hours together. A unique 2 compartment earthen oven fired by red hot coconut charcoals placed in the upper compartment, is used to bake the Bebinca layers placed in the lower compartment. The coconut milk, caramelized sugar, flour and smoke produce layers of magic.